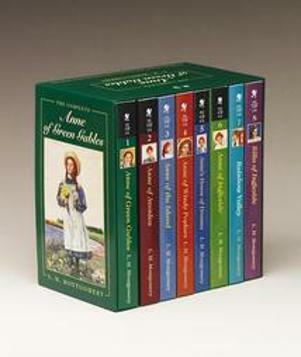 Anne of Green Gables is one of those classics that millions of children grew up with. I, however, grew up with the famous Megan Follows adaptation that first aired in the 80’s. My aunt instilled in me a love for all things Anne and Gilbert and we watched the series on old tapes, despite the fact that bits and pieces were missing. Imagine our joy when it was released on DVD a few years ago. 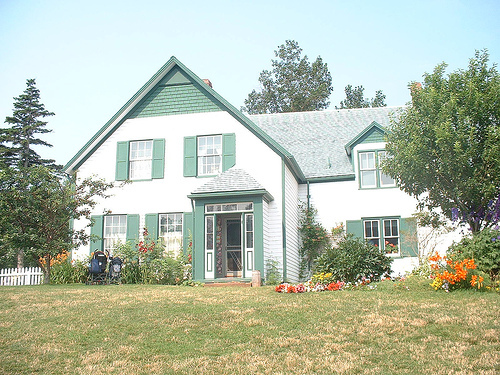 We’ve watched it many times since and a while ago, I got it into my head that I should read the books that first gave birth to the colourful world of Avonlea. I always likened myself to Anne; I have the same wild imagination and thirst for knowledge and books. No, I’m not Canadian and my hair isn’t red. But I’m sure that if Anne and I were to meet, she’d find me a kindred spirit. The first book opens with a description of Anne’s childhood and at first, her endless ramblings left me breathless. She is instantly loveable but I found myself wondering how anyone could speak quite so much. But I was much delighted with the idea of giving places names such as “Lover’s Lane” and “The Lake of Shining Waters”. Perhaps we should all invent names more suitable for the places we adore. Mrs. Lynde, next-door neighbour to the Cuthberts, is entertaining from the start, that’s what. Meddlesome people who always pride on speaking their minds can become good friends too. Although the book greatly differed from the adaptation in some points (some things were completely left out of the series, such as Anne visiting Sunday school and their story writing club), I never found myself annoyed at the differences or skipping pages. It did strike me as strange that Gilbert Blythe rarely appeared throughout the book save for mentions to their rivalry and the occasional brief interaction. It was evident from the first that he harboured romantic feelings for Anne, who must’ve seemed to him so much more worldly than her peers in her reflections and ambitions. Montgomery’s purple prose has been much talked of and at times, I tired of her descriptions and passed over them very quickly but it very much suited Anne’s personality so I do not mind it. 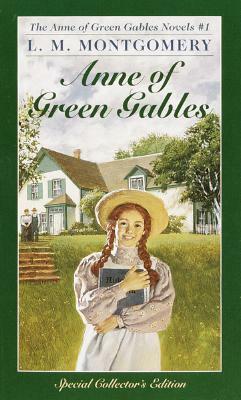 No one I know would dedicate so many speeches to the trees and flowers of this world, but that is one character trait that is unique to Anne Shirley. Despite her many virtues, she is a very flawed girl; vain, temperamental and resentful (towards Gilbert, who she stubbornly refuses to forgive for calling her ”Carrots” as they first meet). But it is her flaws that make her appealing and she always strives to improve herself and never makes the same mistakes twice. Marilla perfectly counters Anne her dreaminess with her practical ways and Matthew, a quiet but kind fellow rarely strings more than two sentences together; however, his actions and thoughts are described in detail when he has not the courage to share this information verbally. Without a doubt, Montgomery is a very gifted storyteller. When we read the book, we are transported to Prince Edward Island and the characters that inhabit it seem incredibly lifelike. We can visualise the flowers and taste the liniment cake that Anne bakes. I did notice an overuse of adjectives in speech tags early on but this seemed to improve as the book went on. Anne of Green Gable is a very agreeable experience that takes us through a vital stage in a girl’s life. We first meet Anne when she is but eleven and at the end of the book, she is a young woman of sixteen. We cheer her on when she struggles to fit in and snicker at the many scrapes she gets herself in. It is a very realistic portrait of a young girl and I eagerly await her next adventures.